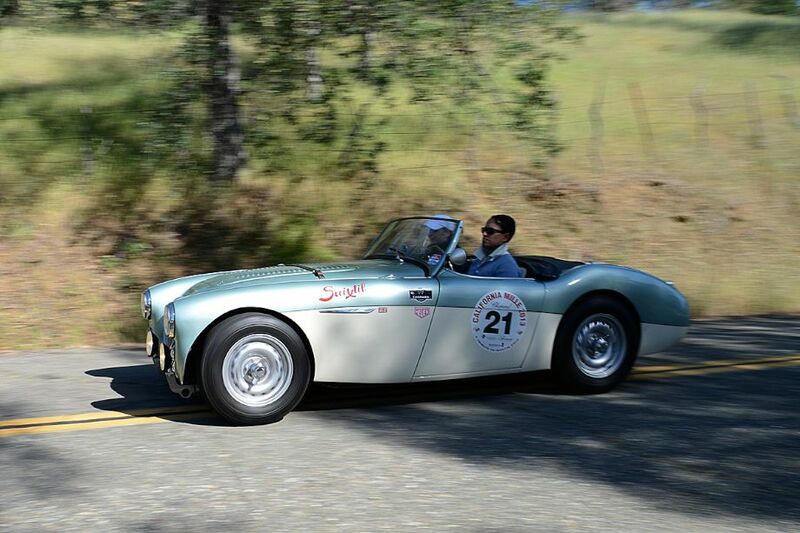 The 2013 California Mille was held April 28th to May 2nd on the challenging back roads of Northern California. The four-day, 1,000-mile rally continued its long tradition of spirited driving in historic sports cars on the twisty and picturesque roads for which they were intended. The rally celebrates Italy’s famous Mille Miglia (thousand mile) race that ran from Brescia to Rome to Brescia from 1927-1957. 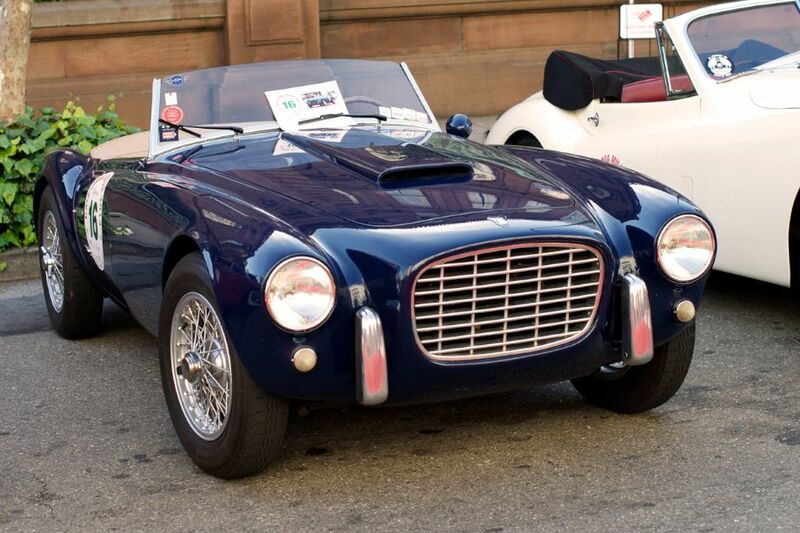 Cars that could have qualified for the original event are eligible for entry in the California Mille. 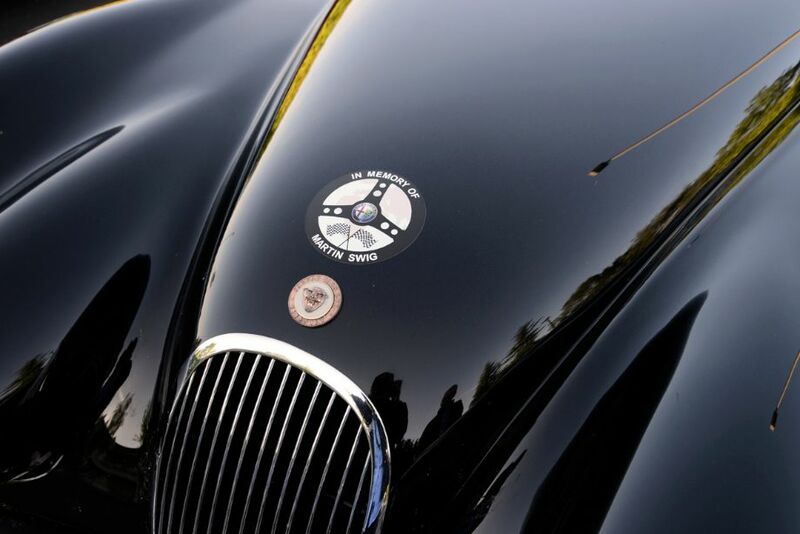 Heavy hearts were present at this year’s California Mille, as the 23rd annual event honored the legacy of its founder, Martin Swig, who passed away in 2012. The lifelong car enthusiast, who loved exploring the back roads in one of his Alfa Romeos, was remembered for his countless contributions to the classic car community. 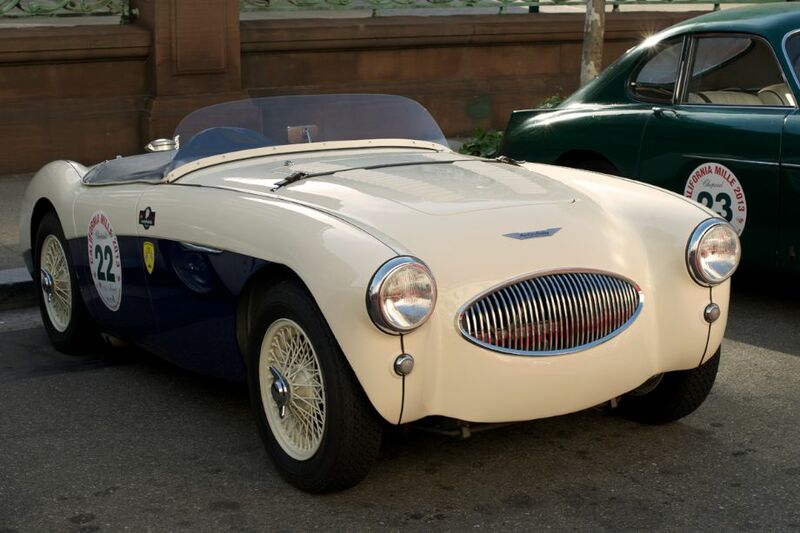 His two arch enthusiast sons, David and Howard Swig, organized this year’s Mille, with the capable assistance of longtime Mille Event Planner, Dan Radowicz. The California Mille 2013 started with the customary free car show on Sunday, April 28th in front of San Francisco’s Fairmont Hotel. During the opening day festivities, the Swig brothers walked around the show to highlight the many unusual and significant automobiles that ranged from a 1927 Rally ABC and 1928 Bugatti Type 35B to dozens of Alfa Romeos, Jaguars, Porsches and other vehicles from the 1930s, ’40s and ’50s. Italian Consul General Mauro Battocchi welcomed fans on behalf of his nation, offering historic insight into the original Mille Miglia. In addition to the Rally ABC and Bugatti T35B, other notable entrants at this year’s rally included a 1934 Lagonda M45 Tourer; a pair of Jaguar SS-100s; 1942 Alfa Romeo 6C 2500 SS Berlinetta Aerodinamica; 1952 Ferrari 212 Export; 1953 Siata 208S; 1953 Ferrari 166MM Vignale Spider; 1954 Kurtis 500KKS1; 1957 Ferrari 250 GT Series I Cabriolet; 1955 Austin-Healey 100S; 1960 Ferrari 250 GT California Spider; 1957 Porsche 356 Carrera GT; 1956 Lancia Aurelia B24S; 1955 Bristol 404; 1956 Alfa Romeo 1900 SS Zagato; 1957 BMW 507 and five Mercedes-Benz 300 SL; among many others. The sixty Mille entrants headed north early on Monday morning. Once out of San Francisco and across the Golden Gate Bridge, the rally ended day one with an overnight stop in Redding. Day two began with challenging and beautiful drive on the hallowed Highway 36, one of California’s finest driver’s road and reportedly Martin Swig’s favorite stomping ground. 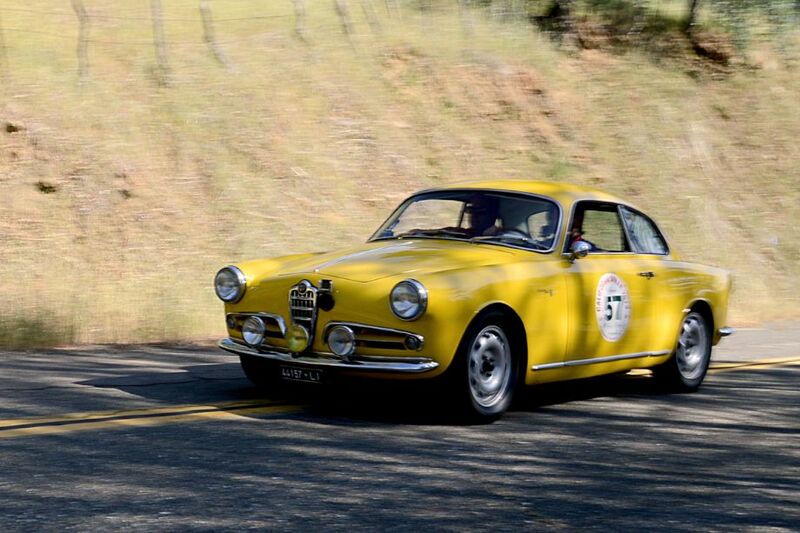 The 2013 California Mille returned to Mendocino for its second night on the road, followed by a variety of coastal and inland routes during days three and four with two overnight stays at Calistoga’s Solage Resort. 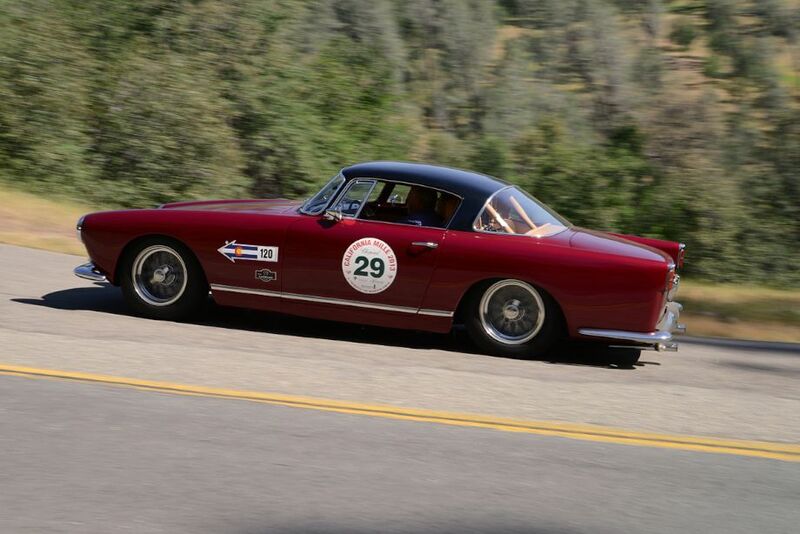 Photographers Dennis Gray and Bob Ross documented the 2013 California Mille, offering the following picture gallery that shows the strong field of entrants and wonderful views found in Northern California. We split up the 150 photos that Dennis and Bob captured into two galleries. The first gallery starting below features our favorite 40 images, all displayed in the full-width view of our website, while the second gallery can be found on the last page of the article and gives a comprehensive view of all the photographs. 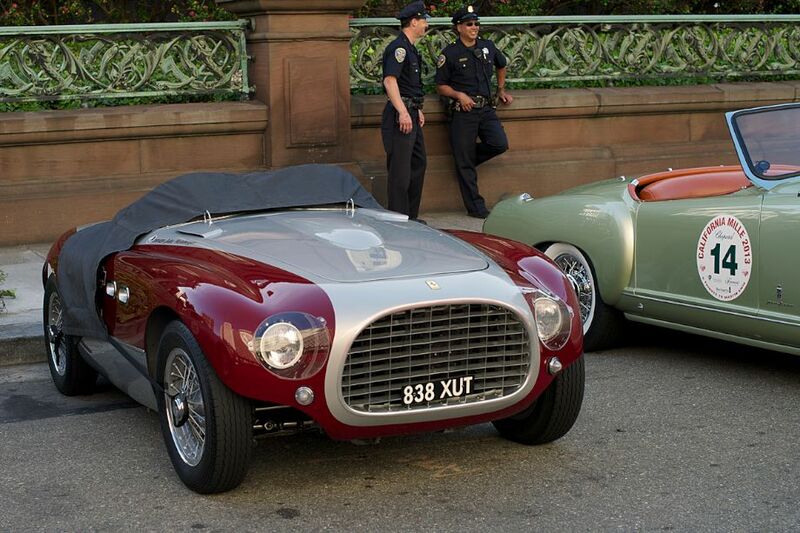 It is always entertaining, if that is the correct word, to see an Italian car built in the midst of WW II in 1942. Fortunately Mussolini was apparently a car enthusiast. This, and the disastrous Italian invasion of Greece, must have made Hitler rank and rave. The Germans would produce new cars into 1943. Unlike the winners, Hitler was not convinced of ‘total war’ until after Stalingrad. Some pretty cool stuff was done in Germany in 1942 as well. 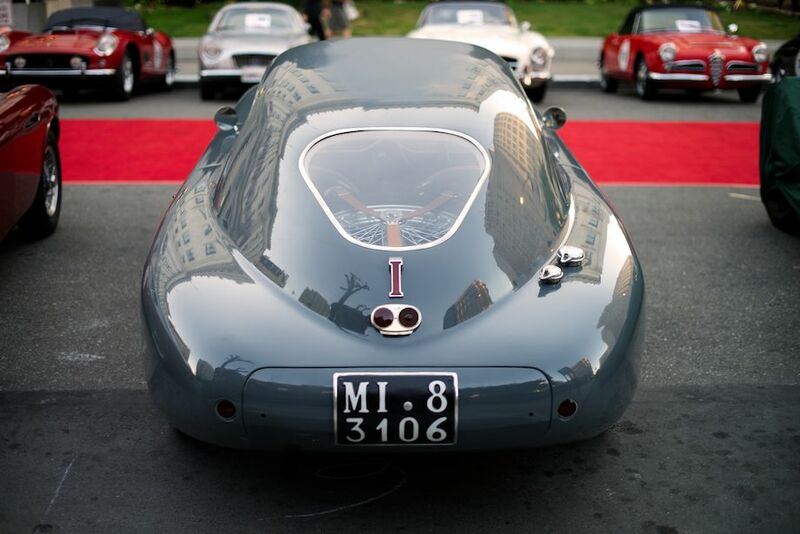 Judging by this photo gallery, not a single Maserati entered this Mille! Organisers, please try harder! Excellent report, photos, and captions. Thank you, Dennis and Bob, for the fine work. We dumped into this fantastic car display outside the Fairmint hotel SF, and that was one of the California hollidays best highlights. Thanks. Best regards, Sven-Tore Gangnes, Norway EU.